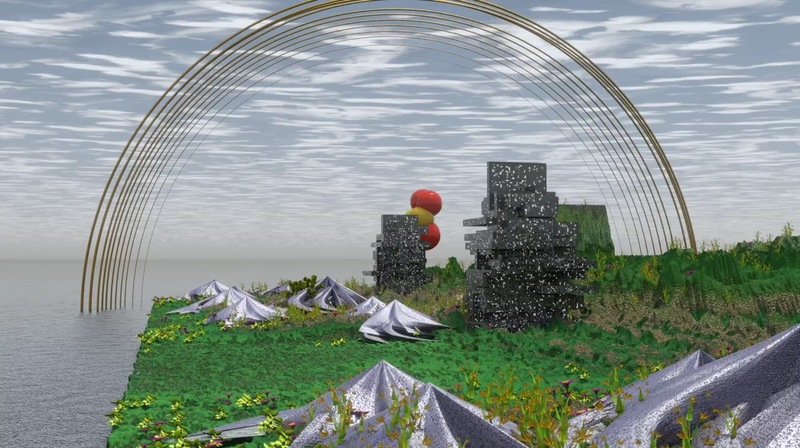 Revel in the sensational algorithmic video for "Howler Monkey" by Meier & Erdmann! | Give it a spin! A solid 8 track sophisticated vibe out on Moniker Eggplant fills up the #giveitaspin music tank. Meier & Erdmann dropped earlier this year a split release (Minor Label), 12 inch vinyl featuring their live electronic vision. 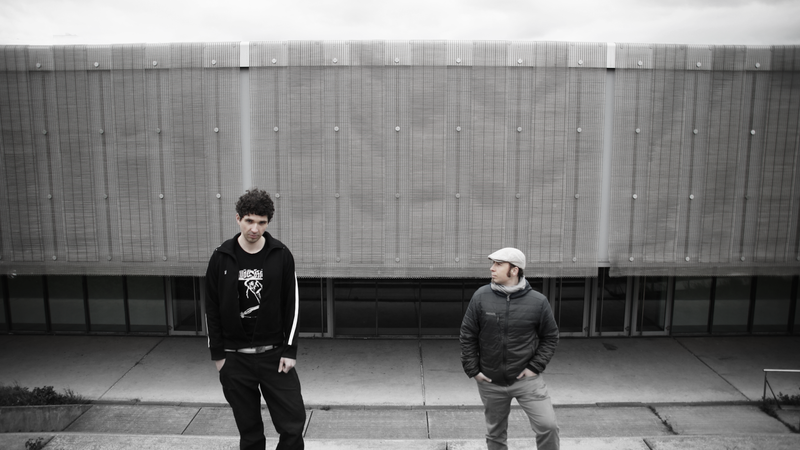 The duo’s first album “Howler Monkey” blends in acoustic and electronic sounds (studio/field recordings) using their unique broad background in classical, jazz and bass heavy electronic dance styles. These sonic narratives tumble over the organic and algorithmic, abstract and concrete to the humorous and melancholic perceptions. An advanced, colourful and ecstatic video direction of track Howler Monkey premieres today and pushes the boundaries of videography and music.The Spanish visual artist and gif-coder Victor Doval (Producciones Luminosas) created a stunning algorithmic video that evolves simultaneously with the track (more info on Victor and his projects here). As you can gaze for yourself the video shows a magical landscape in sync with the music. We don’t come across such aesthetic viewings with official videos very often so it’s a treat for all our neurons! The generation of the visuals is based on the sound spectrum.The diverse frequency bands have been used to algorithmically define the visual parameters such as geometries, materials and lightings. Through this sonic analysis and spectral decomposition each element and texture of the track has been visually processed.The whole sequence has been created in a procedural way where the definition of every part has been based on mathematical integrations.To manage all this data flow Processing and Blender have been used. The Blender add-on Sverchok has been the cornerstone in the creation and transformation of the geometry. The initial idea came from the understanding of music as a temporal journey, a changing landscape that is perceived via the ears. Howler Monkey invites the listener to travel through the subjective/individual and the abstract.The harmonic evolution of the track is associated with a 24 hour time lapse experienced in 290 seconds. From sunrise to sunrise the video offers a dreamy trip that opens doors for contemplation and to emotions the track might evoke. Niklas Meiers‘ recent live acid project Leise Im Kran should be well know to the Eggplant listeners. He has an academic background in musicology and sound studies where he explores and experiments with the whole sonic realm. Lorenz Erdmann spins the decks as Airdmun and has been doing experimental video and sound installations in Europe and overseas. He is also co-founder of Moniker Eggplant! Meier & Erdmann planted a seed image of a genuine auditory in our intellect, the whole sensation seems quite atmospheric on my AIAIAI headphones. You have to expand the sounds with the quality and the respect that they demand on such a creative scale. There is no onomatopoeic thinking only authentic desires that scramble light and honesty plus the BPM sparkle up to 175. The black vinyl comes in a hand-stamped, hand-cut paper case and is wrapped with a coral red banderole. The inlay comes with a delicious recipe for Uzbek eggplant niblets. What a way to celebrate this release! Keep in touch with Meier & Erdmann on Facebook, Soundcloud and Bandcamp. Hope to bring you some fresh music recipes soon!